We tested eleven different purchased seed starting/germinating mixes, as well as potting mix, garden soil, and a variety of home-made mixes. While we can’t comment on the make-up of the mixes (other than noting what the manufacturer indicates is in the package), here are our observations about the look and feel of each mix, how it reacted when moistened and placed in pots, how well it retained moisture, and how well seeds germinated and grew in it. Although the instructions on some mixes suggest filling the seed starting container with dry mix and then watering after seeds have been planted, we highly recommend that all mixes should be thoroughly moistened with lukewarm water before use. Make sure everything is well mixed so that there are no dry areas. Don’t over-wet the mix; if water drips out when you squeeze the mix in your hand, it’s too wet. We describe each seed germination mix below and also indicate whether or not a mix is organic (note that definitions of “organic” vary and not all organic mixes are OMRI listed; we simply report whether or not the manufacturer states that the mix is acceptable for use in certified organic production). *** If you’re just looking for our top recommendations, scroll to the bottom of this article. This video tutorial shows you exactly how to successfully start seeds indoors, including seed starting mix, containers, sowing, watering, heat, and more. After seedlings emerge they need specific care in order to thrive. This video covers lighting, watering, air circulation, fertilization, thinning, transplanting and hardening off. This mix contained larger pieces of organic matter (such as twigs and bark), probably from the compost that’s included in the mix. These pieces can interfere with seed germination and growth so we recommend picking them out of the mix before you moisten it (it’s much harder to remove them when wet). It also contains sphagnum peat, rock phosphate, gypsum, protein meal, and perlite. You’ll need to add quite a bit of water to adequately moisten this mix prior to use. One 6 quart bag of Organic Seed Starting Mix will easily fill two 24-cell (2-inch) seed starting trays. It may fill three trays if you don’t fill each cell to the top. These compressed coconut coir pellets come with Gardeners’ Supply’s new Grow Kit but can also be purchased separately and can be used in any similarly-sized growing tray. Simply drop one into each cell in your seed starting tray and place the tray in water. The pellets swell up very quickly when water is added and will fill each cell. The moistened mix has a nice, even texture and it’s easy to work with. For seeds that need to be covered with a thin layer of soil, you may want to sprinkle a different mix over the surface after seeds have been sown. This organic (OMRI listed) mix comes in a 16-quart (6 lbs) bag. It contains a mixture of Canadian sphagnum peat moss (70-80% by volume), coir, perlite, a soy-based natural fertilizer, and mycorrhizae. We found that there were a lot of plant parts and roots in the mix, probably from the peat moss. Screen the mix before wetting to remove the larger pieces that could affect seed germination. We found that this mix stayed very wet so be careful not to overwater and keep an eye on the moisture level. Wet mixes can create problems with damping off. These small pellets (about the size of a very thick dime) are made of compressed coir pith, worm castings, mycorrihizae, water-saving polymers, and a small amount of plant nutrients. Because it contains mycorrhizae, it’s recommended that you use it within a year or two of purchase as the potency will decrease by about 10% each year. Pellets can either be placed directly into cells in seed starting trays before wetting, or poured into a bowl or bucket, wetted and mixed, and then added to seed starting trays. The pellets expand very quickly when moistened and form a very fine, granular mix. Be sure that all pellets have been thoroughly wetted – if not, they’ll continue to expand in the seed tray and can push seeds right out of the tray. As with the Grow Kit pellets, you’ll probably need to use a different germination mix to cover seeds (or expand a few extra pellets to use as a seed cover). One package of seed starting pellets will fill two 24-cell (2-inch) seed starting trays. The label says that the whole package will fill 150 cells, but those are the much smaller 1/2-inch cells. This fine, even mix contains finely-milled sphagnum peat moss, vermiculite, and some trace minerals. It’s mixed exclusively for Gardeners’ Supply and is suggested for use with their Accelerated Propagation (APS) growing systems. It’s very lightweight and easy to work with, although it’s pretty dusty when you open the bag and it does take quite a bit of water to moisten it thoroughly. Because there aren’t any larger-sized pieces in the mix, it spreads evenly in small seed starting containers. Made from the husks of coconut shells that have been ground, dried, and compressed, the EcoCoir block expands a lot when water is added. Don’t be fooled by the small size and light weight of the block into thinking that you can mix it in a smaller bucket. The instructions specify a 5-gallon bucket or container – and you’ll need it! The mix contains a lot of coconut shell fibers that make it a little more difficult to work with. This mix is commonly used in outdoor containers but, since people often ask whether or not they should use potting soil to grow seedlings, we decided to see how well it would work. This mix includes compost (made from “forest products”), sphagnum peat moss, perlite, a wetting agent, and enough fertilizer to feed plants for up to six months. It’s lightweight but does contain many pieces of organic matter (small pieces of twigs, bark, and roots) that make it more difficult to work with in seedling trays. It also doesn’t absorb water readily when it’s dry to be sure to moisten it well before use. Garden soil is generally not recommended for seed starting; it tends to contain weed seeds and pathogens that can kill seedlings and it usually of a poor consistency for staying moist but not wet. Still, people often wonder whether garden soil would work for starting seeds so we decided to test it. We used a humus-rich sandy loam from a healthy, organic vegetable garden. Lettuce, carrots, beans, peas, and squash had previously been successfully grown from seed in this garden soil (outside). This potting soil is made with a mixture of lobster compost, cow manure compost, kelp, peat, and perlite. While it’s not marketed specifically for seed starting, we thought it was worth trying. The Bar Harbor Blend is lightweight and easy to use. We found that the mix stayed fairly moist (probably because of the high compost content) so be careful not to overwater. The Black Gold mix is appropriate for organic seed germination (it’s OMRI listed). It contains about 70-80% Canadian sphagnum peat moss, perlite, dolomite lime, and yucca extract (which acts as a wetting agent) and comes in a 4 lb bag. The mix is extremely lightweight and dusty when dry. Be sure to thoroughly moisten it before use because it doesn’t easily absorb water if it’s placed into a seed starting tray when it’s dry. CocoTek is a compressed natural coconut coir block that’s sold for use in hydroponic cultivation. Because it contains no nutrients, we paired it with organic earthworm castings with an NPK rating of 1-0-0. One 1.4-lb block of CocoTek absorbs up to 1.5 gallons of water and expands to five times its size so be sure to mix it in a large container. You can mix it with a variety of other growing media, such as perlite, compost, or peat to customize the nutrient and water holding capacity of the mixture. We tested a range of seed starting kits/containers (review coming soon) and lights (review coming soon). All containers were either new or had been sterilized prior to use. Half of the seeds were started on a heat mat, the others were started at room temperature. Heat was removed when most seeds in a tray had germinated. All of the seed starting mixes were kept moist using a capillary mat that was watered from beneath; each mix absorbed as much water as it “needed” with no supplemental watering. Once seeds germinated, they were kept under grow lights for 16 hours per day. No fertilizer was applied to seedlings. Normally, we would add fertilizer to encourage healthy growth. In this case we chose not to so that we could evaluate the capacity of the seed starting mix to support seedling growth. All seeds were zinnias that were kindly provided by Renee’s Garden Seeds (we also used tomato, sunflower, and zucchini seeds in other experiments). Each row (front to back) was filled with the same mix. There are two trays of each kind (reviews coming soon), each one grown under a different set of lights (reviews coming soon). These photos were taken 6 weeks after planting the seeds. Based on everything we saw during our seed starting trials, here are the germinating mixes that we most highly recommend. We believe that these will give you the best chance of germinating and growing strong, healthy plants. Coast of Maine Sprout Island Organic Seed Starter – Although this mix wasn’t part of the original testing back in 2014 (it wasn’t available then), I’ve since tested it extensively for germinating and growing a wide range of seedlings, from tomatoes and peppers to vines, perennials and herbs. It’s an excellent mix that stays moist without getting soggy (so requires less frequent watering), holds together when removing seedlings from seed starting trays or pots, and has had nearly 100% germination rates with all seeds I’ve tried. It’s the one mix I now use for all my seed starting. Organic Seed Starting Mix from Gardeners’ Supply – This mix produced the largest, strongest, and stockiest plants. They appeared to be the most healthy of all seedlings and had one of the highest germination rates (66.7%). The mix stayed moist but not wet. Germinating Mix from Gardener’s Supply – With an 83% germination rate, this mix produced the most seedlings. However, we found that the seedlings germinated using a heat mat tended to be smaller in this mix and one seedling tray developed a green slime on the soil surface. We recommend using this mix without supplemental heat. While these mixes seemed to perform quite well, they required a bit more maintenance (e.g., supplemental feeding, careful watering, use of a specific growing tray) to produce healthy seedlings. Grow Kit Pellets from Gardeners’ Supply – These pellets performed differently in different seed starting trays. In the Grow Kit (also from Gardeners’s Supply), 100% of seeds germinated and grew well. In other seed trays, germination results ranged from 12% to 62% and the plants tended to be smaller and somewhat chlorotic (likely due to the lack of nutrients in the coconut coir; supplemental fertilizer is clearly needed). We recommend the pellets for use in the Grow Kit but would choose other mixes in non-Grow Kit seed trays. Black Gold Seedling Mix from Sun Gro – Only half of the seeds sown in this mix germinated but they grew strongly. The mix stayed nicely moist without being too wet. Potting Mix from Miracle Gro – Although not normally recommended for seed germination, the potting mix worked out quite well, with 75% of seeds germinating. Once moistened, it tended to stay fairly wet so be careful not to overwater. Because of the fertilizer integrated into the mix, there’s no need for supplemental feeding. In our tests, these mixes failed to produce strong, healthy seedlings, had low germination rates, or undesirable growth, such as fungus or green slime. Under different conditions (e.g., manual watering, rather than using a capillary mat) they may perform better. However, we felt that under the conditions that many home gardeners have, these mixes would not be a good choice. Garden soil – Well, the advice to not use garden soil for seed germination turned out to be correct. Only one seed germinated, although it looked pretty sickly. On the other hand, the weed grew quite well, as did the green slime. The soil looked like mud after being watered; it looked much, much better in the garden – and that’s where we recommend you leave it! Bar Harbor Blend Premium Potting Soil from Coast of Maine – Few seeds germinated in this mix, perhaps because it stayed very wet. The 25% of seedlings that survived did quite well, probably because of the nutrients provided by the compost in the mix. We don’t recommend germinating seeds in this mix but it would work quite well for growing seedlings on before transplanting outside. The Eco-co mix grew a fungus. Eco-co from Gardeners’ Supply – This mix stayed consistently moist (but not wet) and most seeds germinated (75%). However, the seedlings were small and spindly; we recommend starting a regular fertilization regimen within a week of germination. We also found that one seedling tray developed a fungus growth of some sort in all of the Eco-co cells. Green slime covered most of the Pro-Mix surface. Pro-Mix from Premier Tech Horticulture – Although all of the seeds initially germinated, they quickly wilted and most died. Those that survived were very small and weak. The mix stayed very wet and grew a green slime over the entire surface. CocoTek and Earthworm Castings – The mix stayed very, very wet and developed a thick layer of green slime on top. It may have worked better without the earthworm castings. Wonder Soil Seed Starting Pellets – With an overall germination rate of only 50%, this mix was one of the worst performers. Although the mix stayed nicely moist, seedlings were weak and stunted and green slime appeared in many cells. Many of these seed germinating mixes can be bought in your local big box store or garden center. Those from Gardeners’ Supply can be purchased on the Gardeners’ Supply website. Or, as with most things these days, you can buy from Amazon through the links below. Which seed starting mixes have you used or made? What worked best for you? Let us know in the comments below! Please note that the Amazon and Gardener's Supply Company links (and only those links) above are affiliate links. 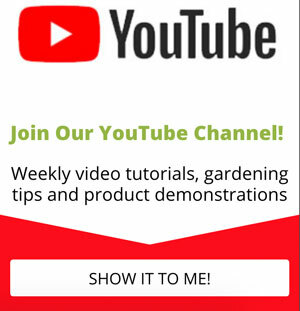 Should you choose to purchase products through these links, GPReview will make a small commission (at no extra cost to you) that helps to support this website and our gardening product reviews. Thank you! What a nice review of seed starting mixes, very helpful and informative. Thanks! Thank you so much Amy! I’m glad you found it helpful. There’ll be more coming next week when we publish reviews of seed starting kits / trays / systems. This was quite interesting to read as we begin seedling season. Thanks for sharing! nk starting mix is a no go my 2200 lb ag pumpkin seeds came up the stem collapsed and died.my brother had the same results. started more seeds in potting soil different brand and no problem.to late to grow a big one this year. Ridiculous!…the mix that you recommended the most (Gardener’s supply) is the one you advertise through a link at the end of your story. (Not to mention the Amazon ad’s). I will go to another website where the information is not backed by ads. I want an unbiased opinion. I’m sorry you feel that way, “Gardener”. First, let me clarify that this is an honest, objective review based on personal experience with all products reviewed (that’s why there are pictures of the experiment in progress) – not a “story”. Second, the Amazon link is there BECAUSE we recommend the product – not the other way around. We want to make it as easy as possible for readers to purchase the products we recommend so we provide links to where it can be bought. Usually, that’s Amazon (best price, best availability, free shipping with Prime membership) but we do include other options where possible, especially if that’s where you’ll get a better deal (you’ll see links in this review to where you can buy products directly from Gardeners Supply and Coast of Maine). If you look at the website you’ll see that we have no advertising. We accept no payments from any company. You can’t pay to have a product reviewed, if you send us something we’ll send it back (unless we’ve previously agreed to review it), and we don’t take sponsored posts or content of any type. The only way we support the GPReview website is through Amazon commissions – and that’s clearly spelled out at the end of every review. I am trying to make my own seed starting/potting soil mix. I had thought of mixing worm castings with coco-coir, (as in the Coco Tek and castings mix you reviewed), plus maybe some perlite…. but I see it did not work out well. I’m just confused as to why? Perhaps if I mixed regular compost with coir and only add worm castings on top as an amendment, it would work? Just wondering, couldn’t the algae developing on the top of the soil be more attributed to the medium being too wet rather than something that came in the medium itself? I had this problem last year and just wanted to check before I invested in the Coast of Maine mix which is fairly pricey. The biggest problem most home gardeners face when starting seeds is getting the right amount of water to seedlings when and how they need it. Many seeds die from over- or under-watering. With a self-watering system, a capillary mat wicks water from the reservoir under the seed tray and delivers it to the bottom of each cell in the tray. From there, the seedlings absorb as much moisture as they need. As long as there’s water in the reservoir, your seedlings will get the water they need. When assembling a self-watering system, be sure to thoroughly wet the capillary mat before placing it in the tray. That way it’ll start wicking immediately.